What is so rare. 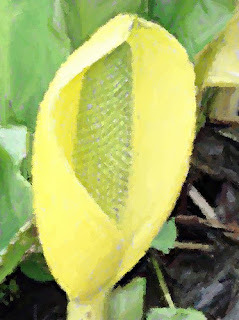 . .
. . .as a hosta in springtime that the slugs have not yet discovered? I'm not sure I've ever seen a hosta in my garden that was as un-chomped as this one. 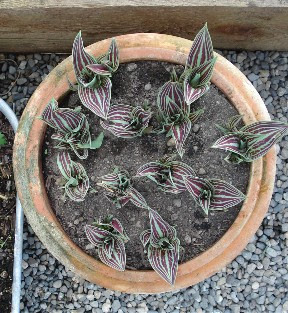 FYI, most of my hostas are still just tips barely poking out of the soil. 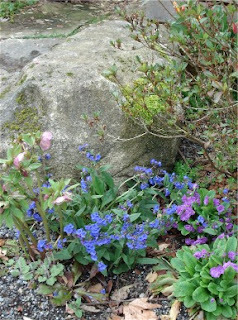 This one grows under an overhang on the south side of the house, where the soil warms up particularly early. 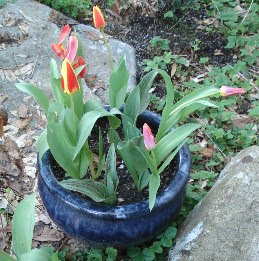 I haven't quite got the Green Thumb blogroll link thing worked out, but this tulip foliage begged to be shared. Then these tulips demanded equal time. 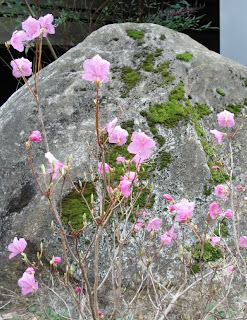 Gardeners, Plant and Nature lovers can join in every Sunday. 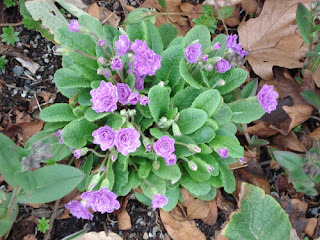 Visit As the Garden Grows for more information. In a tie for 3rd place, with three of five seeds germinating: Early Goliath and Anna Russian. 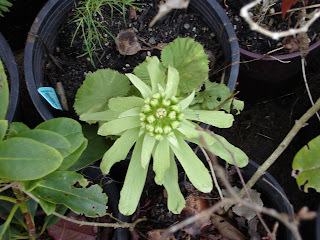 In second place, with four of five seeds germinating: Sungella. And the winner, with five of five seeds germinating, only four days after sowing, is Ferline! It was a matter of mild frustration that I had not had time between travel and hospital to get my tomato plants started. I had only gotten as far as bringing a tub of seed starting mix onto the porch last Monday when I remembered that I still needed to plant the bare-root rose that had arrived in the mail while I was out of town. This week the seeds sat at the foot of my bed taunting me. The problem was that I needed some small pots, and a propagator of some kind. The Overprotective One (TOO), while willing to fetch whatever I needed from the barn or the tool shed, isn't too good at translating vague requirements, or at finding things even when their location is well described. TOO is also The Sensitive One, so you have to make do with whatever he brings back from the mission, or deal with hurt feelings for-friggin-ever. So, when TOO headed out to run some errands yesterday afternoon, I saw my chance. Armed with a plastic grocery bag I set out on crutches, carefully down the 12 front steps, across the yard, first to the tool shed, then to the barn, avoiding the soggiest patches whenever possible. 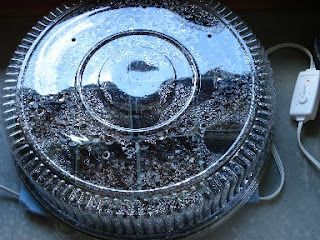 In the barn I hit paydirt--a stash of 4" pots and a 20" round plastic platter with a clear, domed lid, whose possibilities as a propagator I'd recognized several weeks ago, and had even drilled out several vent holes in the lid. Carried the 4" pots back to the house and rummaged around until I found a canvas tote bag big enough to hold the platter and lid and made another trip out to the barn. Stopped to visit the plants in the greenhouse--someone hasn't kept up with the watering there--grab a handful of arugula to munch on, then back to the porch, where I switched from crutches to rolling chair. In no time at all I planted up eight varieties of tomatoes (5 seeds each), two kinds of peppers (jalapeno and salad mix), eggplant, and celery. I don't usually start peppers and eggplant from seed as they need a tremendous amount of coddling (and a greenhouse to live in all summer long) if I'm to get anything but leaves, but the seeds were freebies, so I thought I'd plant them and see how they were doing come late May when I would otherwise be buying plants. So there they are, tucked inside the Costco Vegetable Tray Propagator, on top of a heating pad, where I can keep an eye on them from my bed/office. The tomato varieties are mostly experiments, with some standbys. Super San Marzano did well for me in the greenhouse last year, and I've never found anything better for making sauces. The long season heirloom varieties I tried last year, thinking they'd thrive in the greenhouse, were duds. This year it's back to the short season tomatoes, such as Stupice, which ripens dependably even outdoors. The Totally Tomatoes catalogue touted the virtues of "Early Goliath" (58 days) and challenged me to compare it to Early Girl, which I have grown before, but never in my cold-summer garden. I ordered the bush version, which should make a nice patio plant. Anna Russian (65-70 days) intrigued me. I'll try it both outside and in the greenhouse. Valueseeds.com tempted me to try Legend, a new blight-tolerant determinate variety. 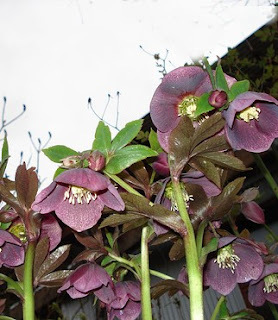 Finally, I planted up some gift seeds from Thompson & Morgan: Sungella, which I am looking forward to because people around here rave about it, and another blight-tolerant variety, Ferline, this one an indeterminate, that is said to do well indoors and out. He has to leave the house again today. I think it's time to start some more flower seeds. The worst part of this foot-remodeling is the immobility. I'm a restless one at the best of times. If I get around on crutches, I can't do so much as carry a cup of tea from one room to another. If I scoot around on my desk chair (a desperate purchase last weekend)I can do stuff and carry things around with me, but I'm limited to the indoors, and one level of the house at that. Worse, The Overprotective One (TOO) thinks it's a bad idea to go on crutches up and down stairs, and out into the garden. TOO has a point. The ground is pretty soggy. But. I'm tired of reading about gardening. I've sorted my seeds. (Such a lot of seeds!) I've planned out the vegetable garden on graph paper. There comes a time when a gardener simply must. plant. something. TOO is heading out to run some errands. This is my chance. I had foot surgery a few days ago and my wonderful team at work* sent me this basket of blooming plants. The timing and basket contents were perfect as I just threw out my last sickly African Violet and, as Inland Empire Girl says, you can never have too many primroses. The basket is the perfect size to hold a trowel and seeds on planting days. The bow, however, will have to go. *I guess this means at least a few of them weren't upset about their reviews last week! 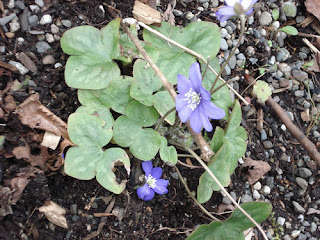 Hepatica [nobilis] and the Hellebores! 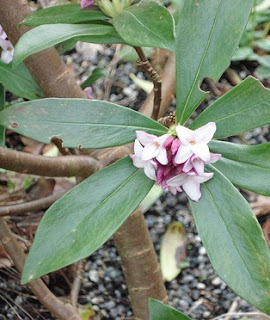 Also in bloom right now: forsythia, daphne odora, viburnum tinus, narcissus rupicola, cyclamen coum (still just one blossom), a couple of daffodils, sweet violets, primula, pulmonaria, rhododendron mucronulatum, petasites japonica, which I really must get into the ground one of these days, and one siberian squill. 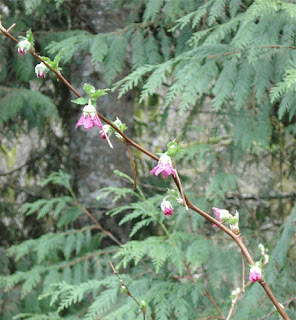 In the woods, salmon berry, skunk cabbage and flowering che rry. 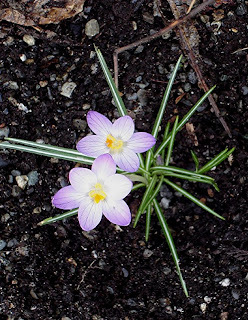 The crocus have come and gone, battered by rain from the Pineapple Express that roared through here last week. I made up this bouquet last Monday to keep my company while I recover from foot surgery this week. 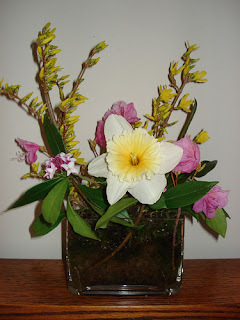 Just a few sprigs of daphne is all it takes to perfume a room. In the wings, 'Red Riding Hood' Greigii tulips 'Red Riding Hood'. Part of the downside of managing people is delivering the annual performance review, and the muddy bottom of the downside is delivering the review to low performers. The company I work for has suffered from the Lake Wobegon Effect for decades (if you work for Acme you are by definition an outstanding performer) and now the fortunes of those at the top depend on recognizing that we do have low performers and either bringing them up to standard or managing them out. Finally we have the opportunity to evaluate performance instead of participating in the usual love-fest. "I am a star! I have always been a star!" "No, you are not a star." You know how you sometimes get a song stuck in your head? Well, this little exchange got a poem stuck in my head and 24 hours later it's still playing. I will never be able to read this poem again without thinking how to incorporate these lines into a performance review.